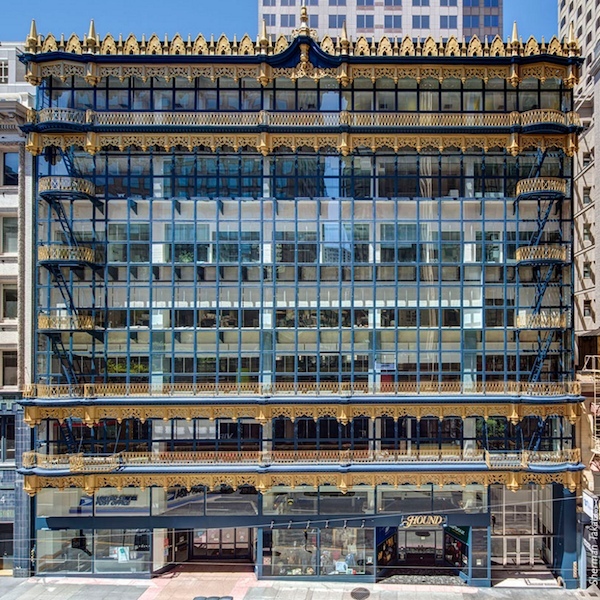 The blue and gold color scheme of the framework is a nod to the University of California, Berkeley as the Hallidie Building was originally an investment property for the governing board of the University of California system. The building itself is named after Andrew Hallidie, a board member and the inventor of the cable car. Designer Willis Polk was a controversial figure in local urban design. 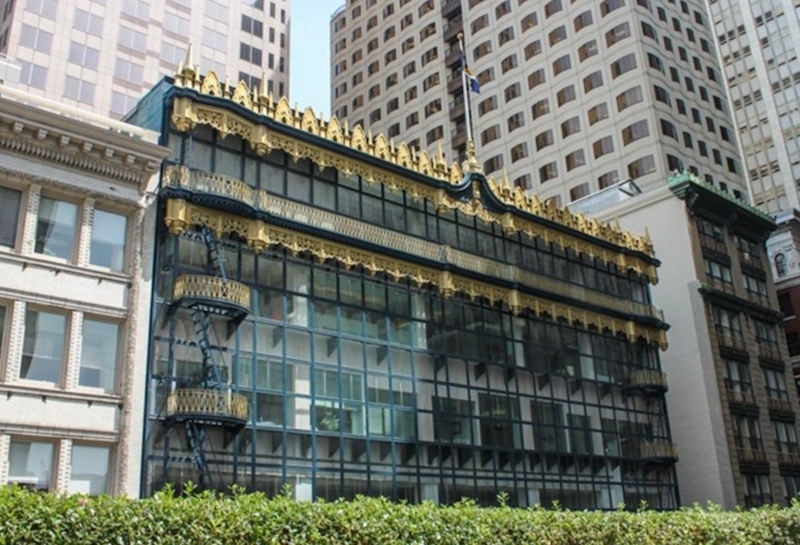 He abhorred Victorian houses and called them “an architectural nightmare conceived in a reign of terror, and produced by artistic anarchists.” He is responsible for other San Francisco buildings such as the Palace of Fine Arts, the Pacific Union Club and the Hobart Building. 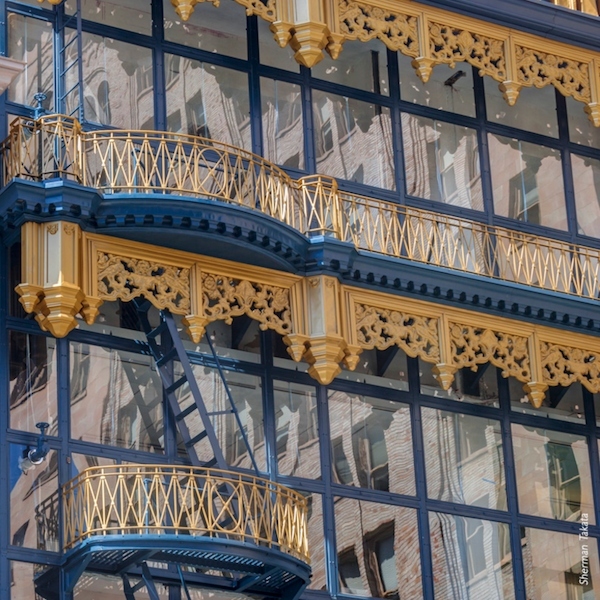 In August 2010, the fire escapes and balconies of the Hallidie Building were deemed unsafe by San Francisco’s Department of Building Inspection. 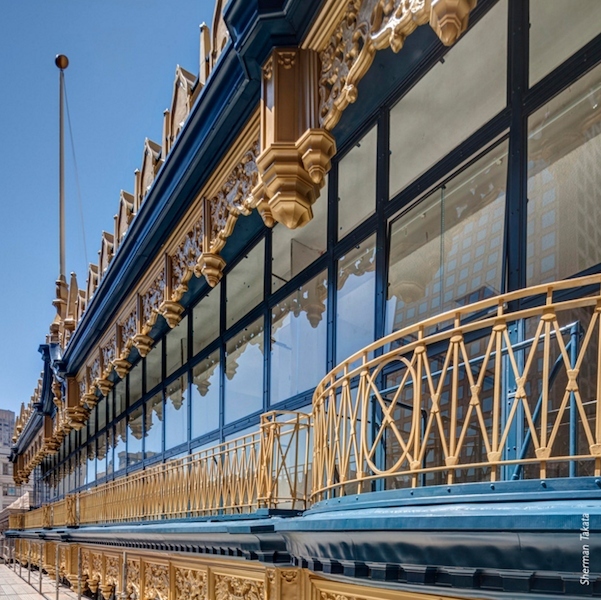 The news prompted a 30-month restoration by Page & Turnbull, a firm whose other restorations in the city include the Ferry Building, the Exploratorium at Pier 15 and the Walt Disney Family Museum. Though it started off with minor issues, major ones were discovered. Today, the building has new laminated glass paneling as well as new fire escape ladders; the original balcony railings remain. “The transparent net of glass is startling even now on a block otherwise lined with buildings clad in stone, and in its time it was revolutionary: the first glass curtain-wall in the United States, the ancestor of the towers that gleam on countless skylines,” urban design critic John King said of the restored building. 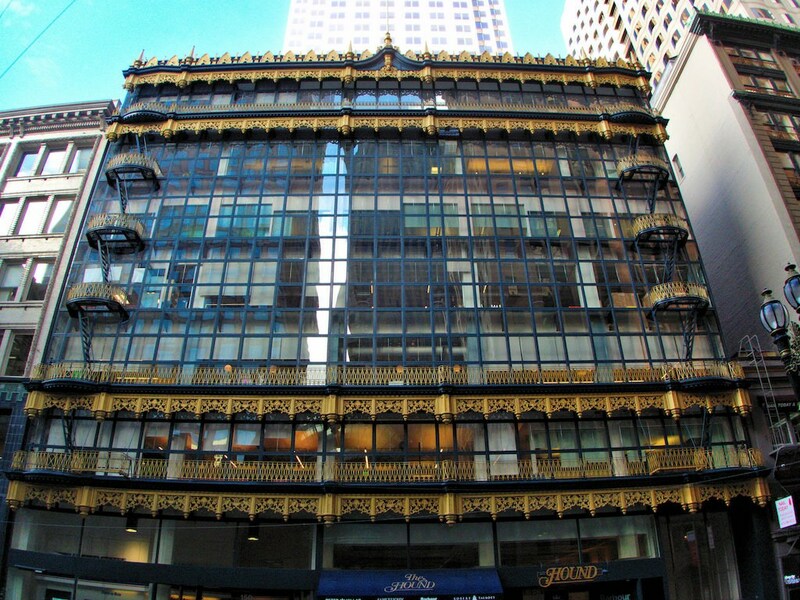 Currently, the Hallidie Building is an office building that’s — fittingly — home to the San Francisco chapter of the American Institute of Architects, Coordinated Resources and Charles M. Saltzer and Associates, among others. Next time you’re in the neighborhood you may want to stop by for an admiring look.